REFOCCUS© 2011 Third Edition contains new and revised content and has been redesigned to better facilitate couple discussion. The Couple Packet includes 2 folders, each with all materials for each person. The Inventory consists of a set of seven Topic Sections including Marriage as a Process, Intimacy, Compatibility, Communication, Commitment and two New Topic Section: Ministry Marriages. Ministry Marriages provides couple who are active in their faith with the opportunity to discuss the impact this call to serve has on their marriage and a section for Empty Nester's. The materials include the Inventory with Couple Aids to encourage couple discussion, Answer Sheet and Preferred Response Sheet. REFOCCUS© may be used by individual couples or groups, with or without a facilitator. There are no returns excepted on the REFOCCUS folders. Bulk pricing of $15 available when ordering 10 or more couple packets. REFOCCUS© 2011 Third Edition contains new and revised content and has been redesigned to better facilitate couple discussion. The Couple Packet includes 2 folders, each with all materials for each person. 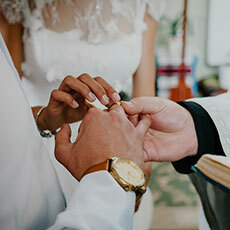 The Inventory consists of a set of seven Topic Sections including Marriage as a Process, Intimacy, Compatibility, Communication, Commitment and a New Topic Section: Ministry Marriages. Ministry Marriages provides couple who are active in their faith with the opportunity to discuss the impact this call to serve has on their marriage and Empty Nester's. The materials include the Inventory with Couple Aids to encourage couple discussion, Answer Sheet and Preferred Response Sheet. REFOCCUS© may be used by individual couples or groups, with or without a facilitator. There are no returns excepted on the REFOCCUS folder. Bulk pricing of $15 available when ordering 10 or more couple packets.